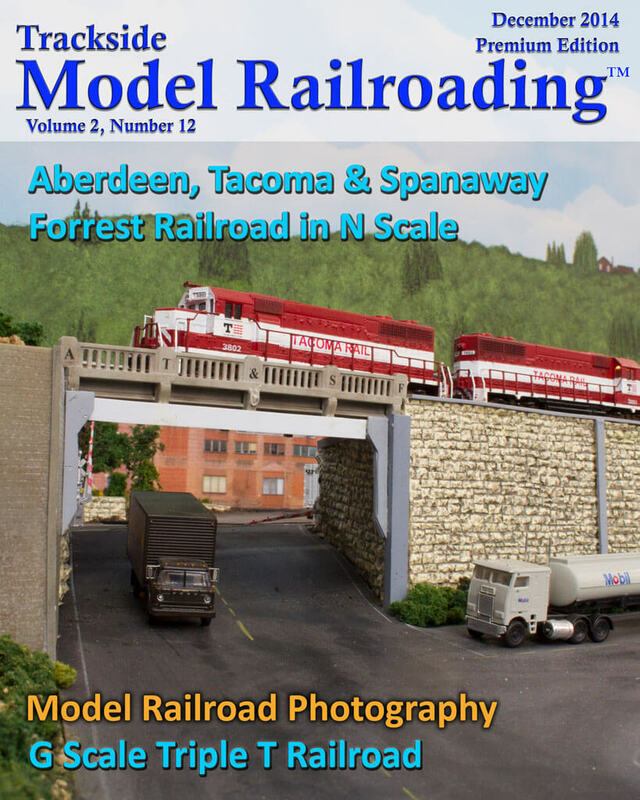 Walt and Nancy Huston's N scale layout, the Aberdeen, Tacoma & Spanaway Forrest, is freelanced and set in western Washington State. Lumber is the main industry on the AT&SF shortline. It also runs grain, scrap metal, and mixed freight, which are shipped out of the Aberdeen and Hoquiam ports. The Aberdeen, Tacoma and Spanaway Forrest Railroad is beautifully scenicked and runs alternately in 1963, 1970, or today. 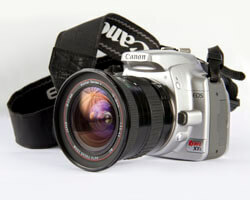 The feature includes photographs, video, and an article about the layout. 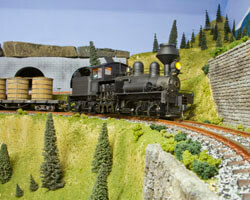 We visit an indoor G scale layout this month. Al Babinsky's built the Triple T in a small 12x14 foot shed. The freelanced layout is built in three levels with a high bridge connecting the top level across the shed. 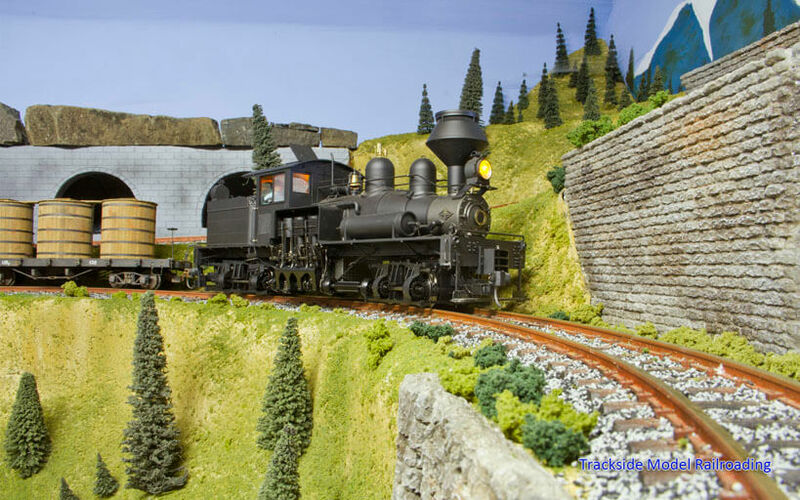 This G scale layout is a good one to note if you are considering building a large scale layout in a small space, as Al has carefully planned and maximized the space. 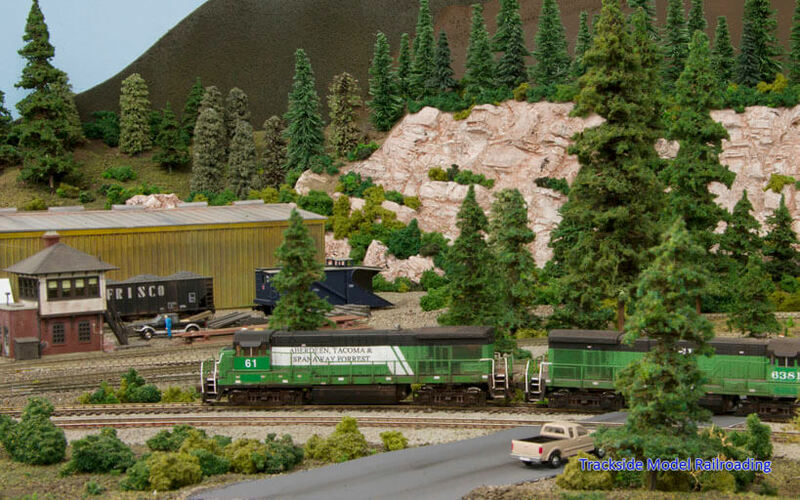 We offer several simple tips this month to help you make great photos of your model railroad layout, and a few things to consider if you are building a layout and want to be able to photograph it easily. We kept it simple so even casual photographers should be able to find it useful in helping them make good images of their model railroads.